László Nemes Jeles’ Sunset (Napszállta) debuted at the 75th Venice International Film Festival last week. 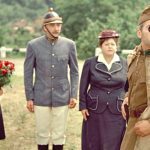 The film – which is the first Hungarian film in 24 years to be invited to the prestigious festival since Ildikó Enyedi’s 1994 Bűvös Vadász – was awarded the prize of the international federation of film critics (FIPRESCI). The follow-up to the Hungarian director’s Oscar-winning debut Son of Saul competed in the international competition alongside 20 other feature-length films. The main prize of the festival went to Alfonso Cuarón’s biography-inspired film Roma. Olivia Colman received the award for best actress and Willem Dafoe took the award for best actor. Sunset takes place in Hungary’s capital just before World War I in 1913. 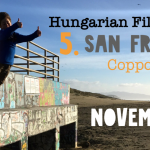 The film tells the story of a young Hungarian orphan girl named Írisz Leiter who returns to Budapest seeking work in a hat store previously owned by her parents and discovers she has an older brother. According to a statement from the Hungarian Film Fund, Nemes Jeles worked with many crew members from Son of Saul, as well as an international cast of professional and amateur actors. The Hungarian Film Fund supported the movie’s production with a generous 1.59 billion-forint (EUR 4.8m) grant, and distributors from nearly 70 countries bought the film before its world premiere. Sunset will premiere in Hungary on 27 September.